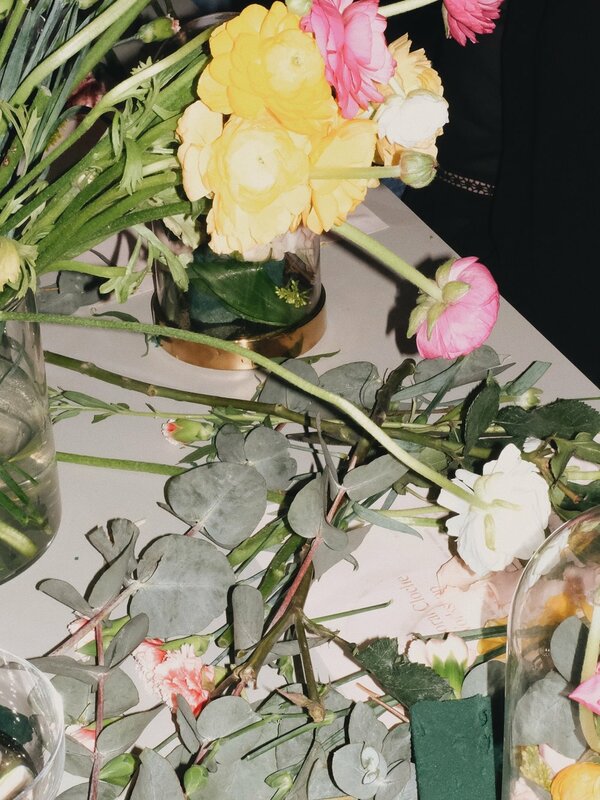 Our first Sunday workshop was a celebration of all things floral. Co-Founder, Joshua, opened up his home to guests and worked with them to build individual, beautiful floral cloche displays. Cut floral foam to appropriate size for the base of your cloche and then soak in water until saturated. Begin placing greenery—eucalyptus or ferns work perfectly as a backdrop for flowers and will make colors pop. Add height and color with face flowers, we used ranunculus. Then, fill any large gaps with buds like roses or carnations, or sprays like gyp or feverfew. Enjoy your display! Flowers should keep for up to 5-7 days with cloche lid intact. Special thank you to our friends Keleka & Hao-Hung for their support!